[VIDEO] Can Women Do Intermittent Fasting? 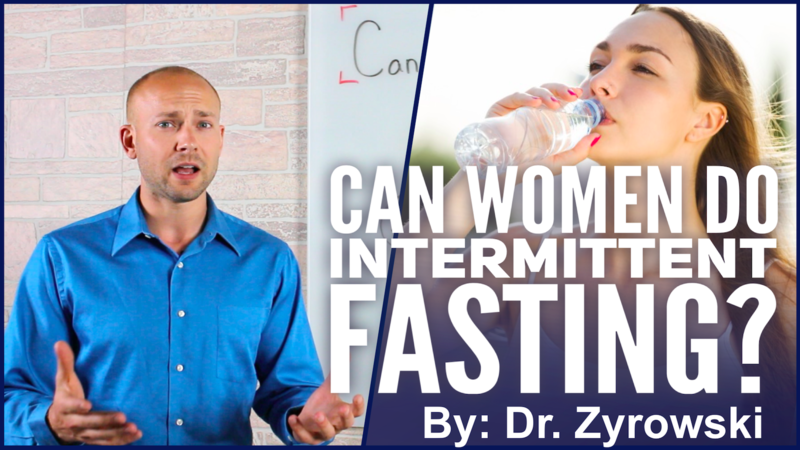 Home » [VIDEO] Can Women Do Intermittent Fasting? 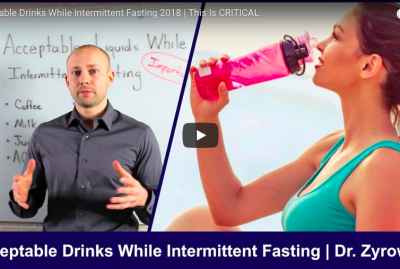 Intermittent Fasting for Women or can women do intermittent fasting is a video that explains how the female body will react to Intermittent fasting and how you can get better results following these methods. Intermittent fasting for woman is certainly a safe practice but will need some modification because of the way the female hormones function. Females are very sensitive to increase leptin and ghrelin simply because your bodies are designed to bear children. Intermittent fasting and female hormones will react much like a female athletes hormones who aggressively is training for a sport. Your body will stop ovulation and drive infertility in order to protect the potential fetus. When you ask the questions of “is intermittent fasting good for women?” the answer is YES, it just requires some variations. Crescendo fasting is the first variation. This is simply intermittent fasting every other day or only 3-4 days a week. Crescendo fasting for woman will leave your hormones in tact and offer you the great benefits that so many people receive while fasting. The other option is to simply shorten your fasting hours. Instead of fasting 16 hours try 14, or even 12. Don’t forget to follow us on Youtube! 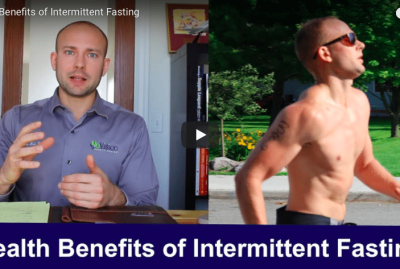 In this video, I answer the question, can women do intermittent fasting? Hi I’m Dr.Zyrowski from nuvisionexcel.com. If you’re new to the channel, it’s such a pleasure to have you here. If you want to excel your health and your life, subscribe and hit the little bell notification and you’ll be on your way. 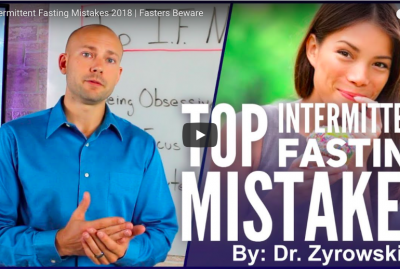 In this video, we’re talking about intermittent fasting for women. This is a question that we get so much. As you know, intermittent fasting has some amazing benefits whether it’s your brain, your gut, your skin. Intermittent fasting really helps with all those things and so much more. As a matter a fact, if you haven’t watched my videos on intermittent fasting, check them out right here. But, here’s the thing. As a woman your body is built differently than a man, so there’s a few things that you need to watch out for. Now, we get a lot of questions. First of all, we have a lot of woman that say, hey when i’m intermittent fasting, I just get insatiable hunger. Which is actually more common for woman than men. We also see woman who will say hey, while i’m intermittent fasting the other thing that happens is that I start to develop insomnia. Once again, very common for woman. Now, the last if not least one of the things that woman also will say is, hey I saw that intermittent fasting in Omad and all those things we’re potentially dangerous for me to do, is it okay? 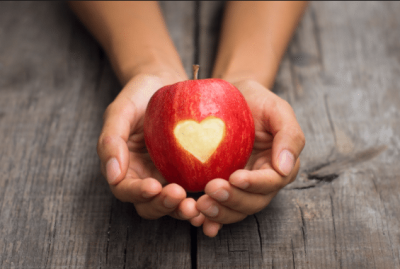 And so, let’s go ahead and jump into the difference between men and woman when it comes to fasting and what you need to look out for and also i’ll also give you the solution that will give you a guideline to what you can do so that you can still intermittent fast. Now, when we look at intermittent fasting, essentially what happens is there’s two hormones. One is Leptin, that’s going to be increase and this tell your body to burn fat. And then there’s Ghrelin which will be increase and that’s going to tell your body you’re hungry. Now, because a woman’s body is designed to bare children and also always be prepared for a potential fetus it is very, very sensitive to starvation. So when intermittent fasting with these hormones risen for a long time, essentially what can happen is your body will throw up a red flag and say hey, we need to protect ourselves because we’re starving, and as a result just because the body simply is trying to protect a potential fetus it can actually drive some hormone imbalance and even shut down ovulation and cause some infertility issues. Now, here’s the thing, is that this is just the woman’s body is going to do what’s it’s going to do and that’s the way it is, and that’s okay, because what we can do is a few different workarounds in order to help you with this issue. Because, one again, intermittent fasting for women is very beneficial. 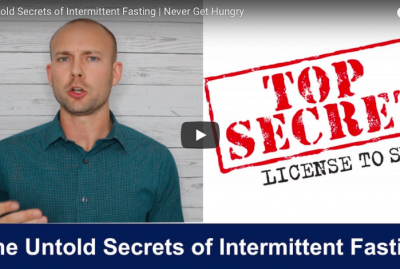 Now, when we look at how you can move forward doing intermittent fasting for women, there’s a couple different workarounds. For one, you can actually shorten the fasting hours. So, instead of doing eighteen, or sixteen you can fall into fourteen or twelve or whatever’s right for your body. That’s one workaround and one solution. The other solution is going to be the Crescendo Model, and essentially what that is, is that means that you just intermittent fast three days a week, or four days a week or even every other day. So, essentially what you’re doing is you’re not intermittent fasting every day, you’re just doing it every other day and then as a result of that, you’re going to see much better results. So yes, woman can still do intermittent fasting. Yes, you still get those amazing benefits from intermittent fasting, but there’s just some workarounds that you have to do just because the woman’s body is built like it is and it’s going to do what it’s going to do. So, anyway, intermittent fasting, shortening those fasting hours is important and the other thing is in the Crescendo Model, you’ll just intermittent fast every other day, or just a couple days a week, and those are really great workarounds. Unfortunately, one meal a day is not going to work that great for woman because of this whole scenario that we talked about here. But, other than that guys, I hope that this answered your questions. Be sure to subscribe to the channel. Give this video a thumbs up and share it with your friends because everybody else has this same question. Other than that, check out my other videos and I’ll see you in the next video. 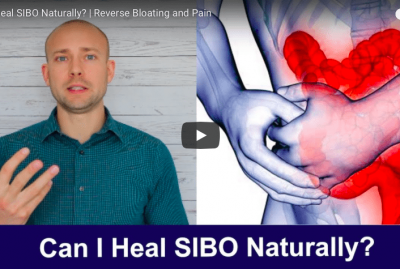 [VIDEO] Can I Heal SIBO Naturally?